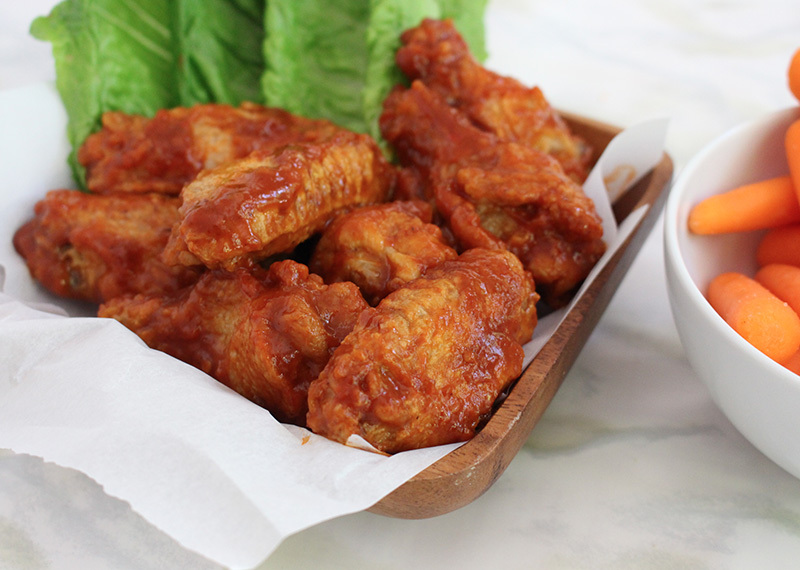 Wings are a classic for game night or a get together, this is a great alternative to the fried version. Simple to make and baked till crisp, this is a perfect treat, that will disappear in minutes! 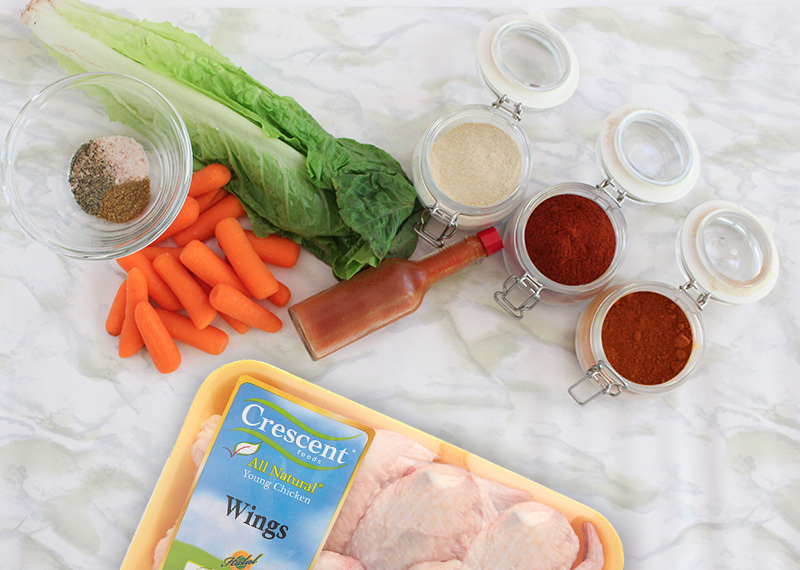 Rinse chicken wings and trim any excess skin. Do not remove the skin, Pat chicken dry. In a large bowl, whisk together flour and seasonings. Add chicken and coat with the flour mixture. Prepare a large cookie sheet by covering with foil and spraying with cooking spray. Arrange chicken on the cookie sheet, at least an inch apart. Bake for 30-35 minutes, turning once after about 20 minutes. While the chicken is cooking, make the sauce. Add about a 1/2 cup of the bottled Cayenne hot sauce and a stick of butter to a small saucepan. Heat on low and stir until butter is melted and sauce begins to bubble. Taste. If the sauce needs more heat go ahead and add some in batches, or add a few dashes of Tabasco. Transfer baked chicken wings into a large bowl. Pour the sauce over the crispy baked chicken wings and toss to coat. Serve with celery and carrot sticks and a side of ranch or blue cheese dressing for dipping.